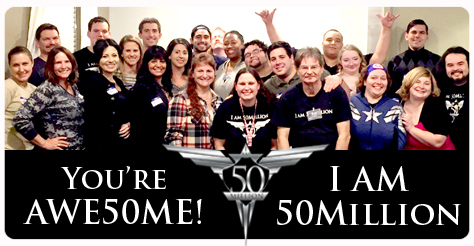 “I am 50Million is a social group that teaches personal development and does charity work.” Yes, it that simple. We are a social group where individuals get together to help each other be the best they can be. We do so many different activities that help people live a more fulfilled, enriched, and powerful life. We do this by creating events where we can learn, have fun, help others, and become better versions of ourselves.